Hopefully, this will generate some useful data for those working on this issue. The sad thing is you can get CTE without ever having a concussion just through the little pops of everyday contact over and over. This is true of any contact sport, though, and not exclusive to football. "Professional' wrestlers who engage in tightly choreographed fake fights are getting this. Though the hard shell helmet will keep you from cracking your skull and limits very dangerous conditions stemming from that sort of trauma (like cerebral hematoma), it won't do a thing to help with your brain sliding inside its case like a bunch of loosely packed Vienna sausages. That is an engineering problem which may or may not be fixable by materials engineers. Also, most helmet engineers are not Neurobiologists, so that is why they are focused on the shell and not how the force is affecting the brain. It would be like someone designing a car crash mitigation system without understanding how forces directly affect the passengers. What your post implies is that we may see the end of football and other contact sports. Can't wait to be excited watching the college tiddle winks championship. I have to say that article is very uninformative. They could have gone into detail on how it works after being placed over helmet or is it tracking data? The Vols are using protective helmets. Thats all. 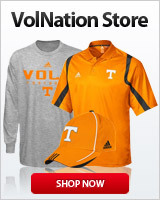 Please post this garbage aRTiCLe to VolNation. Sounds like CYA, where they're saying they haven't yet developed testing methods specific to the add-on padding so they can't certify it. I'll try to help the disappointed out. The helmets are softshell and ultra absorbent. They're based on the time tested and effective features most women desire for sanitary use. A case of what's good for the gander is good for the goose. Further, the padding is extra to promote additional protection against heavier incidents. We refer to them as knock-noggin pads. Once again, the helmets are designed to help provide players Maxi protection to Always Stayfree of concussions. Personally, I think they should get rid of the helmet altogether. Go back to face mask-less leather hats or something similar. Then players would stop using it as a “weapon”. More padding, uh, protects better? Liar! You just want to neuter the game and turn it into pansies playing pat-a-cake. Ever noticed how no one discusses all the CTE occurring with rugby players, the guys taught to lead with their heads? And few helmets at all? Australian rules football as well, bet they have CTE all over the place? Yeah, screw 'em if they can't risk maiming, death, or long-term disability for my viewing pleasure! Rugby players are aware of their lack of protection, practice controlled tackling, and do not generate anywhere near the same force. Is this different from what's inside the helmet? I wonder why you hear much about CTE in soccer players? There has be a lot of brain jarring taking a 50-60 mph ball to skull. Most players aren't using them as weapons anymore, most are incidental more than anything. They would find a way to make the padding either on the inside or part of a new helmet design at a latter time. Nothing wrong with coming up with better helmets, but we need to able to review in case it was a legal hit and be able to reverse that as well. Players are doing better, but refs need to be able to correct a overreaction as well. Many times a good hit gets penalized these days just because of the oohs and ahh's, if it's illegal fine but don't punish a good hit when it's plain to see that's what it was. Too big of a call to not be able to overturn if it needs to be. GBO! It might cut down on concussions but with the ridges it looks like it might cause more neck/nerve injuries as the ridges get hung on various pieces of equipment..
Not really. There are thousands of examples of things being made safer and better at the same time. Not sure why this would be different. Respectable move by Pruitt. If it saves one kid from getting his brain scrambled, it’s good. Yes he did. . Very observant. But that is also the most obvious reason to wear another protective device. But with my post I was wanting to know how it works. Does it track data and say player X today had this many hits to the head or what. One has to use them to collect data. I am really waiting on these data to see what they show. Anything that absorbs energy will reduce the concussive forces. An inch of absorbative material can make a difference much like a crumple zone in a car. If they work, why not wear them in games? Game helmets are fashion statements, Long, except in the case of Maryland head gear. So Kotex cranial padding in ineligible for game wear.